It is beneficial for growers to be able sell their grain at their own timing and amounts, and not have to automatically accept the “going” price at the big storage system's silos at harvest time. 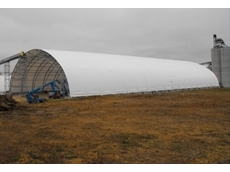 To do this the grower needs to be able to store their grain “on-farm” and for most growers the options are: vertical storage, silo bags, or bunker tarps. Vertical storage is expensive but may be the best long term option for those in constant yield cropping areas as it is a long term investment and pays for itself over a number of years. 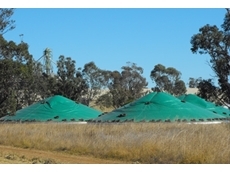 Silo bags are a more recent addition to the storage option, and as such are still in a learning curve, receiving varied feedback. For an investment in the inloader and outloader machines, the grain producer is set up to be able to move quickly at harvest time to store the needed grain into bags that have an approximate capacity of 200T. Each bag has a single use and growers should consider the placement of silo bags as damage can occur. 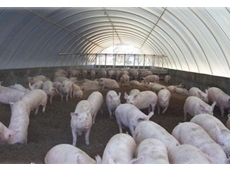 The third option is bunker tarps and, for most farming operations, these are relatively simple to set up. Again it is necessary for the bunker tarps to be carefully positioned, in view of good drainage for rain run off and in a place accessible at harvest time. The bunker tarps need to be positioned with the opening end away from prevailing wind – a sheltered position is optimal. 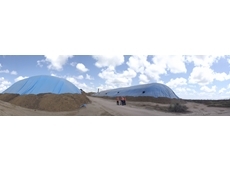 Bunker tarps can be used for storage of 100T to 5,000T and more if required and provide cost benefits to the user. 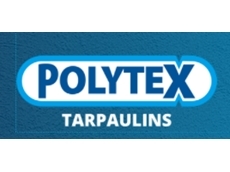 Polytex have a range of tarpaulin products available, with most “on-farm” bunker tarps being made from 250gsm woven polyethylene, making the cover easy to pull over the grain with minimum labour. 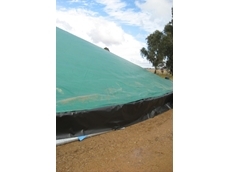 Another plus for grain growers is that tarpaulin products cover with good treatment and can last many seasons of use. The main consideration for growers with all of these options is to be in control of their own product, as it is worth the extra effort needed at harvest to store “on-farm”.